Fig. 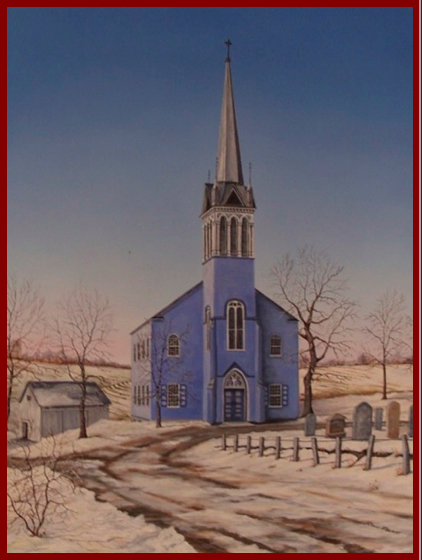 9 THE “BLUE CHURCH” BY RON PRATT. Courtesy of St. Paul’s Evangelical Lutheran Church or the “Blue Church” of Coopersburg, Pa. Photo courtesy of AlyssumArts © DL Moyer. Published September 1, 2016 at 422 × 560 in Fraktur Quilts from the Schleifer-Kichlein Family.